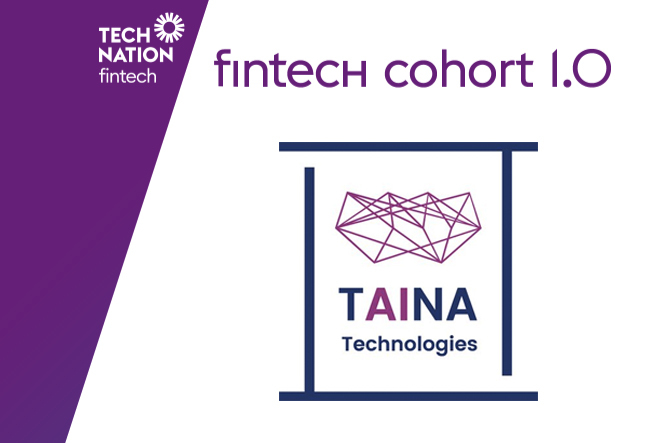 Level39 member TAINA Technology has been selected as one of 20 early-stage companies that will make up the first ever Tech Nation Fintech programme cohort. Tech Nation Fintech is a five-month growth programme for ‘bridge-stage’ B2B and B2B2C UK fintech startups. It targets growth for companies who have raised Seed funding, have recently raised Series A, or have annual revenues of no more than £1.5m if bootstrapped. With 788 fintech companies in the UK, fintech is high on the government’s agenda. The Tech Nation Fintech programme is one of the key measures announced by HM Treasury in its Fintech Sector Strategy earlier in the year, to support the development of the sector at a national level. TAINA Technology automates regulatory compliance for financial institutions, TAINA’s software removes the need for manual effort and multiple systems. The company aims to help financial institutions comply with their regulatory requirements whilst saving costs, eliminating operational risk, providing full audit trail and enhancing customers’​ journeys. Previously TAINA Technologies has been selected to showcase at Google HQ and joined the Mayor of London International Business Programme.